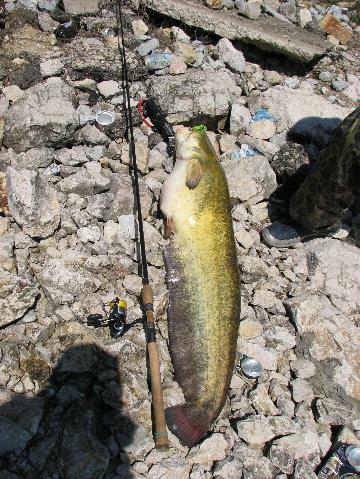 How to catch wels catfish with lures? 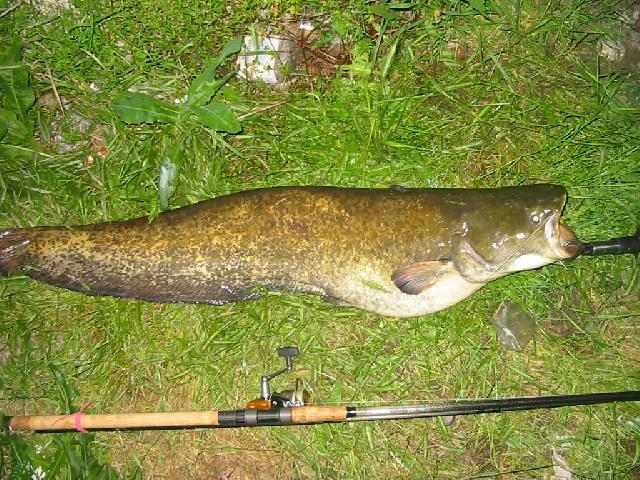 There are many species of catfish but in this article I’ll refer only to wels catfish (Silurus Glanis) that belongs to Silurus genus, Siluridae family of Siluriformes order. The wels catfish can be caught via different methods but here I’ll provide some guidance how to catch it using artificial baits. 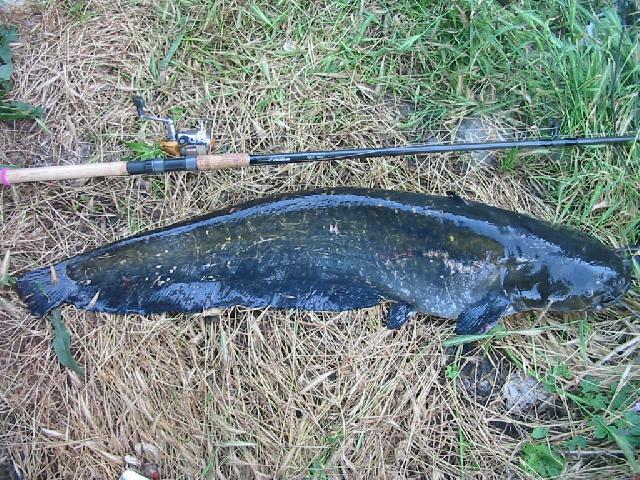 it but till then you have to take in consideration that wels catfish loves high streams, rocky shores, trenches, any obstacle like submerged logs. 2. proper fishing rod: you need 9-10ft rod when fishing on the shore for better controlling of the fish during the drill; the rod action must be one that helps your endurance, so I recommend parabolic action or medium-fast. 4. proper line: here I refer to both main line and leader line and the knots between them; the leader material is crucial when fishing in hard conditions like rocky shores. 6. proper hooks: besides the right sharpness and size, take really care of the wire strength; use always quality strong heavy wire hooks, brands like Owner or Gamakatsu won’t disappoint you. 8. the right lures: crankbaits, soft baits, hard baits like spoons, spinners, blade baits or pilkers but, not any kind of lure is good for wels catfish, you have to use 3in size minimum, best sizes vary from 3.5in to 5in. There are many anglers that believe color doesn’t matter when fishing for wels catfish but personally I feel comfortable when using fluorescent colors like SFC, FT color codes from Rapala lures. When using soft baits, use those that are producing high vibrations, best are shads like Relax Kopyto but also 4in or bigger grubs can do the job. 10. the right time: wels catfish is active during the first hours after sunset then after 2-3hrs pause, all night long till sunrise. Ok, now let’s talk a bit about how to cast and how to retrieve the lure. Well, when using crankbaits you must retrieve the lure very slow, like 4-5s per handle turn, if the stream is really tough you can just hold the lure at the desired distance and pull the rod slowly then let the lure be taken back by the stream. For jigging the same theory applies that you must have slow evolution of the lure like touching everything what’s on the bottom. Whenever you have an attack which is immediately followed by a drill, remember to double your strike to ensure the hook set. 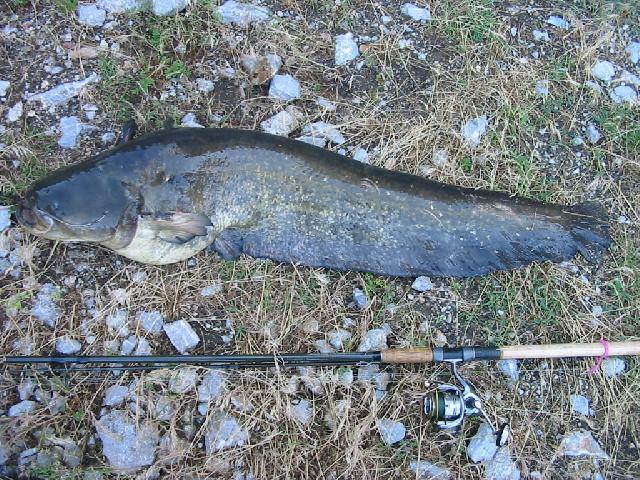 Depending on size, the wels catfish can stay in packs so if you catch one in one spot you have big chances to catch more. So, in principle this is it, remember you must have the right gear to avoid unpleasant surprises and the right sized lure that gives you the right vibration to attacked wels catfish. Do not hesitate to ask questions or complete the article with your experiences!